The Effective Detective was lounging back in his chair examining a funnel of the type used to possibly fill a car with oil, when I entered the room. I assumed that this was the topic of the day, and unable to conceive of anything else that might be a better topic, I played along. “Planning on changing your oil sometime today sir?” I asked innocently. “Eh? What? Oh Watson, don’t be silly. You know I would never risk damaging my car by attempting to change the oil myself. That is work – at least in my case – best left to professionals. Actually what an interesting segue to today’s topic. Which, as you might of guessed is about sales funnels.” The Detective replied. “I had a feeling, sir. However, I am intrigued how changing the oil in your car is a segue into the topic of sales funnels,” I responded back, a little puzzled at this turn of the conversation. “Not the process of changing the oil itself, Watson – please don’t pretend to be so dense – but rather the funnel itself. You see Watson, many of us were trained to look at the sales funnel as a metaphor, not a process. 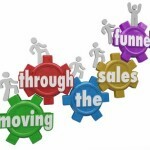 It merely represented how the number of prospects are reduced as they move through the sales cycle. You start off with a large number of prospects – a number that shrinks as information is provided and contacts made. That however misses the point of what is currently described as a funnel truly is,” as was customary, The Detective paused giving me an opportunity to interject, or to simply request he continue. “I’m confused sir. How does it miss the point? What else is a funnel sales or otherwise?” I asked, knowing this would trigger the explanation The Detective was so obviously hoping to provide. “Ah Watson, a modern sales funnel, one that would be used by marketers such as ourselves, is far more complex, perhaps even more elegant. In the past, this funnel represented advertising to some prospects to get them interested, calling them to gauge their interest, sending them sales literature – brochures and the like, calling them again to make a trial close, then finally going after the final close, so that a few clients would drop out the end of the funnel. 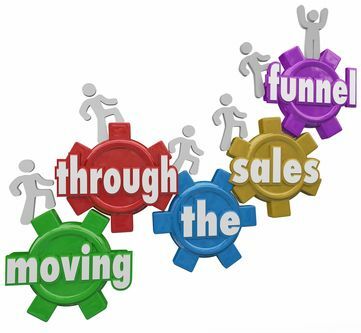 “Today’s sales funnel would be more like a fun house maze. If you take a certain action, you may go in a completely different direction. It is not a straight path. How you respond to your prospect is totally dependent on how they respond to you. Did they open that email? Did they watch that video? A real sales funnel has multiple paths to get to the final destination – a sale. The beauty of it all? The tools to do it are all there for us to make this happen!” The Detective finished with a flourish. “Fascinating, sir! I don’t believe I have ever thought of it that way,” I responded quite pleased with the way this had ended. “Quite, Watson,” The Detective said, ending today’s discussion. I realized my jaw was hanging open in a most unbecoming way, so I shut it momentarily – long enough to gather my words together to verify what I thought I had just heard. “Of course Watson, and for heaven’s sake shut your mouth, you look like a fish gasping for air,” The Effective Detective initially answered my question with his typical sarcasm before continuing on. “You did not mishear me Watson, I have dropped Infusionsoft in favor of one of the so-called lesser alternatives,” The Detective concluded, and waited patiently for my reply. “I don’t understand sir, haven’t you yourself said that Infusionsoft is one of the most powerful tools available for the types of processes we design and implement?” I asked, hoping that my mouth had ceased opening and closing spasmodically. “I have indeed Watson. And I stand by that. Don’t misunderstand Watson, I am not leading a rebellion against high-powered software that admittedly costs a pretty penny. If someone is using Infusionsoft to its potential, and truly benefitting from it, by all means stay with it!” The Detective answered. “Then why would we switch, sir? I admit I am finding this quite confusing,” I mumbled. “Watson, while I must admit it was a hard decision, when I analyzed our own lead attraction and sales funnel system, I felt that Infusionsoft could be a bit of overkill. I will also confess to some consternation over them working towards becoming “Swiss Army Knife software” – doing lots of things, all of them competently, but none of them excellently. But lastly and most importantly, our clients, Watson. Are many of them best served by that particular software package? I think not,” once again The Detective paused to allow me to interject a comment. “But aren’t there features that are critical to implementing our system sir?” I asked, finally regaining my composure. “There are, but features can be duplicated either by human processes, or outside intervention via our own software solutions. We can tie into these supposed lesser systems, and I think that most of them hardly deserve that title. 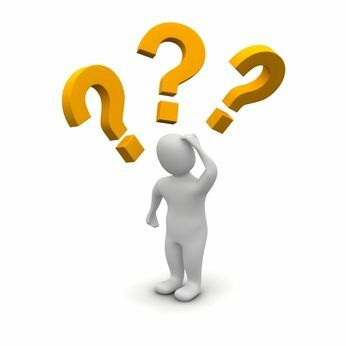 It is simply a matter of working out the processes and designing both a manual solution, and then a software solution. The result will be a cost-effective way to implement the proper processes in one’s business without driving one crazy,” The Detective concluded. “We will be discussing these processes in this space of course?” I queried. “Watson, do you have even a shadow of a doubt that we will be discussing this extensively?” The Detective asked, looking incredulous. “Hush Watson, we have work to do and word to spread,” The Detective smiled, ending our conversation for the day. “Sir, are you up for a little Q and A today?” I enquired of The Effective Detective to launch this episode of our weekly talks. “What? Eh Watson? I suppose so… not as much chance to lecture of course,” replied The Detective with a slight smile on his face. “Watson, the direct answer is quite simple: an autoresponder is simply a process where a set of emails are sent out to a member of your list that the autoresponder is assigned to. The timing of the emails can be set by you so that there are certain intervals of time before the next email is sent out. 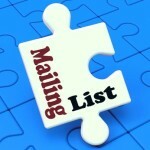 The emails are the same for each member of your list who receives the autoresponder emails. That much is fairly simple. Where it gets interesting, is why they are so important,” The Detective paused in his characteristic way. Sometimes I believe he is just winding up in those pauses. “Please continue sir,” I provided an opening without opening a can of worms by making a comment or perhaps sending the conversation in another direction. “Quite, Watson. As I was saying, autoresponders are important, although you can work a list without them. They are important in that they give you a chance to respond consistently to every single prospect that comes into your funnel. Their introduction to you can be your best stuff. If they are simply thrust into the world of your e-zines or other content, they may hit something that doesn’t immediately interest them. Or perhaps, perish the thought, you might have a bad day, and simply not be on the top of your game with your content. Whatever the reason, you could start out on the wrong foot with a new potential client. Autoresponder content can be tailored to the promised message. Perhaps it is a multiple part video course. The page that attracted your prospect enticed them with that content. They get what they expect to get, and you gain credibility,” The Detective stopped again. This time, looking at me like he expected more than a perfunctory response. “I think you have the concept Watson. There are some email services out there that offer you a free version or level. Unfortunately, if autoresponders are one of the features they deny you for free, you are better off spending a little money with them to get the autoresponders. Those first few weeks after they subscribe are critical in getting your prospects to follow you. Best to bring your A game and start the relationship off right,” The Detective concluded. “You sound like you speak from experience, sir” I said, raising an eyebrow.